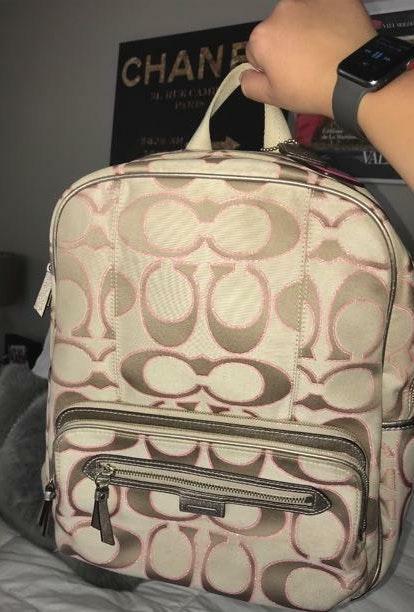 Tan Coach monogrammed backpack with pink detail. Several pockets for small things. Perfect for school or just a casual day out! Great condition!